Christmas came a few days late for David Johnson, a 56-year-old truck driver from Brooklyn, New York. 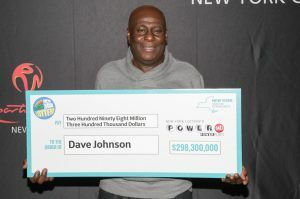 After spending $5 on lottery tickets, including a $2 Powerball ticket, David Johnson is New York’s newest multi-millionaire after he wins the Powerball lottery! Johnson, won the almost $300 million dollar jackpot on Wednesday, December 26th. Because he wasn’t feeling well, he didn’t even check his ticket until a few days later. In a spirited interview, Mr. Johnson happily recounts the story from buying the tickets to realizing he was the big winner. He collected a check for $114,000,000 earlier this month, after stashing the ticket in the pocket of an old jacket for a week. Mr. Johnson has since retired, and has plans to invest most of the money for the future. But he will certainly treat himself to a few things: a new house and a brand new red Porsche – something he’s always wanted to own. The TU-Automotive’s Connected Fleets USA conference in Atlanta featured speakers exploring brave new transportation landscapes, including the one that mandates electronic logging devices. Clem Driscoll, a telematics analyst and founder of C.J. Driscoll and Associates, was among the speakers. 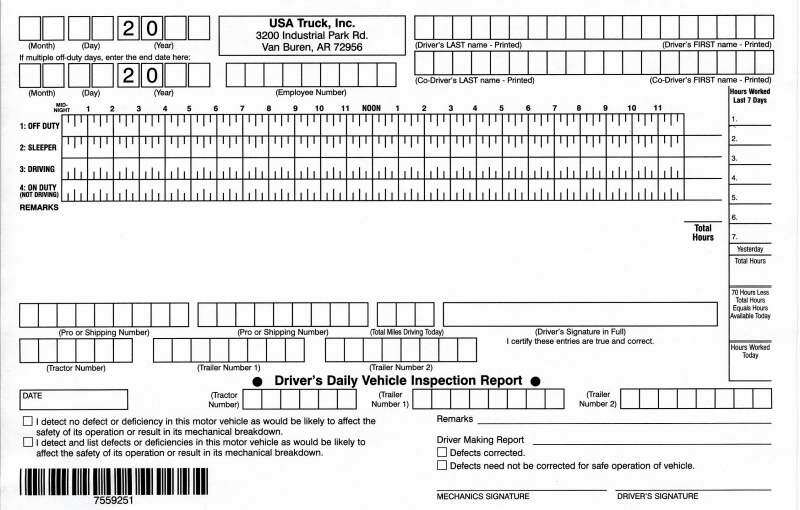 He presented findings of his company’s survey, revealing that, despite the impending deadline for switching over to ELDs, many carriers have still been monitoring drivers via paper logs. Driscoll said the study surveyed 529 U.S. fleet operators. 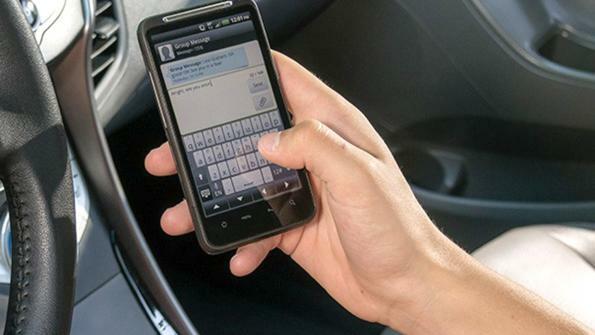 With the mandate for electronic logging devices coming up Dec. 18, 60 percent had not yet deployed ELDs; 33 percent were using AOBRDs and 6 percent were using a combination of e-logs and paper. Driscoll emphasized that the information was gathered in the second quarter and would likely be fluid. One question for the fleet operator included if they deploy the electronic devices. In addition, it asked for third quarter, fourth quarter or not at all? A third said they planned to either switch to ELDs in the fourth quarter or wait as long as possible. His company’s research also indicated that large companies preferred to equip their fleets with the same make of the device. Driscoll said a separate survey done in the second quarter asked questions of owner-operators. Of those surveyed, none had deployed ELDs yet. Driscoll unveiled the highlights of his firm’s study, the 2017-2018 Survey of Fleet Operator Interest in MRM Systems and Services during TU-Automotive’s Connected Fleet event in Atlanta. 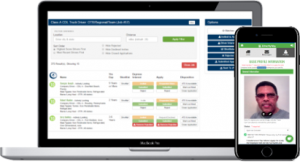 According to Driscoll, this multi-client study sponsored by 19 companies is believed to be the largest study conducted to date on the U.S. commercial telematics market. In a phone interview, he told Land Line he did not expect a delay of the mandate and predicted a heavy last-minute demand for the devices. 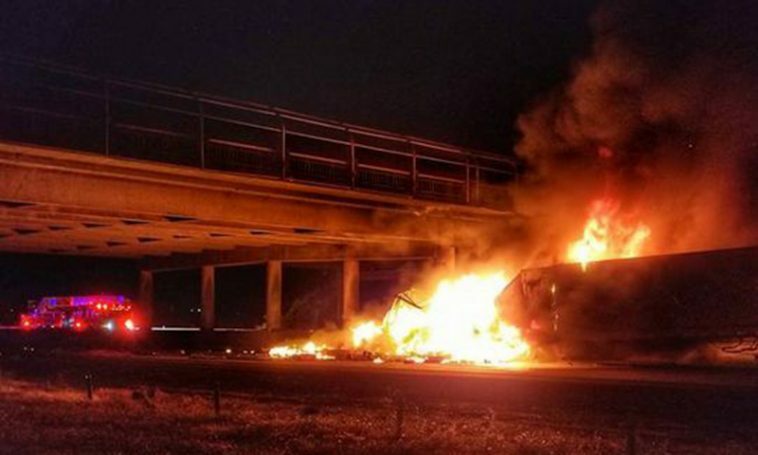 A man who ran towards a fire to save a trucker stuck in his burning rig last month says God put him there to rescue the driver. The wreck happened last month in Albany, Oregon, but the two still visit each other frequently as the truck driver continues to recover. According to Statesman Journal, truck driver Terence Jay Shaw was driving on northbound Interstate 5 on the morning of September 1st when he lost control and crashed into an overpass. The force of the impact set his rig on fire and the truck erupted into flames. As the truck burned with Shaw still inside, Chuck Zeitler came upon the wreck from the southbound side of I-5. Zeitler saw the flames and heard someone screaming for help, so he laid down his motorcycle and rushed to the scene of the fire, pushing through a crowd of people videoing the incident on their phones. Zeitler ran up to the truck and pulled Shaw out of the burning wreckage and away from the fire. The truck then exploded. Since then, Shaw has been recovering in the burn unit at Legacy Emanuel Hospital in Portland, where Zeitler visits him frequently. – Zeitler humbly explains how circumstances led him to rescue the trucker and gain a best friend. Despite the praises from the Shaw family, Zeitler shared God put him in the right place at the right time. He simply acted on his instincts after 24 years as a Navy boiler operator. Shaw is still recovering from the wreck. He has had multiple skin grafts on his right arm and side and currently has 23 stitches. Cleveland, OH – October 26, 2016 – Nasdaq GlobeNewswire welcomes Drive My Way as a partner. Drive My Way features GlobeNewswire’s trucking industry related news. On October 19, Drive My Way’s logo was featured on the renowned Nasdaq tower in New York City’s Times Square announcing their partnership. 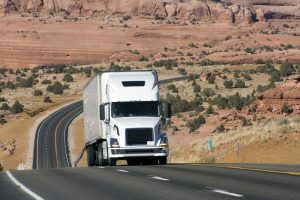 According to a story in the New York Daily News, a truck driver may have captured a taste of the paranormal on camera. More specifically, the driver may have caught an image of a ghost as he and his colleague drove through a tunnel in Ireland. Stephen Smyth snapped the spooky curiosity as he traveled through Cork with colleague George Furst. And after taking the picture, the two men were stunned when they spotted the ghostly figure in the photograph.“When we looked at the picture, Stephen suddenly said, ‘What the hell is that?’” said Furst. Here is the photo Smyth snapped. What do you think? Is it a ghost? You can get the full scoop from the New York Daily News here. Fatal work-related injuries to commercial truck drivers last year reached a critical point, and not in a good way. In fact, driver fatalities in 2014 reached their highest level in six years, states a summary of preliminary results from the Census of Fatal Occupational Injuries for 2014, just released by the Bureau of Labor Statistics. 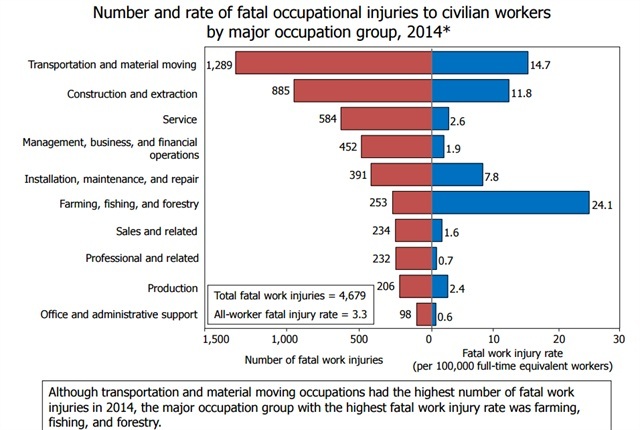 BLS said that “transportation and material moving occupations” accounted for the largest share (28%) of fatal occupational injuries of any group of workers last year. Fatal work injuries in this group climbed 3 percent to 1,289 incidents in 2014, marking the highest total since 2008 (see BLS chart above). Heavy-truck and tractor-trailer drivers incurred their highest total since 2008– with 725 fatalities recorded in 2014. According to the census, truck drivers and drivers/sales workers accounted for nearly two out of every three fatal injuries in the overall group (835 of the 1,289 fatal injuries in 2014). BLS also found that in 2014, transportation-related fatal work injuries rose slightly, from 1,865 in 2013 to 1,891 in 2014. 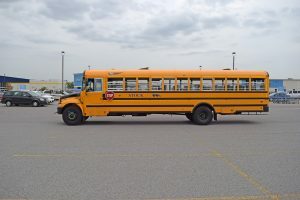 Overall, the article stated, transportation incidents accounted for 40 percent of fatal workplace injuries in 2014. Last week, 431 top truck drivers from around the country descended upon St. Louis for the 78th annual “Super Bowl of Safety,” otherwise known as the 2015 National Truck Driving Championships, hosted by American Trucking Associations. But only one of them could be proclaimed 2015 Bendix National Truck Driving Championships Grand Champion. That person was Ronald Emenheiser, Sr., a Walmart Transportation professional truck driver based in Yorkana, Pa.
To earn the coveted title, Emenheiser exhibited exceptional driving skills and knowledge of transportation and truck safety. The veteran driver has more than 25 years of professional driving experience. He succeeds Jeffrey Langenhahn, a professional truck driver with Con-way Freight, as the Bendix Grand Champion. ATA also honored Brook Figgins, a professional driver for FedEx Freight, as the 2015 Rookie of the Year. See a full list of event winners here.